Wishing to verify and upgrade information obtained during the 2016 GPR survey, the city’s Kardriorg Park Authority commissioned from the non-profit association MTÜ AEG another set of archeological research, the objective of which was to specify the actual position of the old fountain structures, the current condition of the old fountain’s potential structures, and the depth at which the base of the old fountain lay. During the archeological research it was established that only the limestone base of the grand fountain in the Lower Garden still remains, resting at a depth of approximately 1 meter from the contemporary ground surface. The research also revealed that the fountain’s edging has not been preserved in the ground – most likely, it was destroyed during later earthwork and removed from its original location. The maximum size of the fountain base measured from one arch tip to another was approximately 39 x 39 meters, whereas the square middle part was approximately 26 x 26 meters in size. 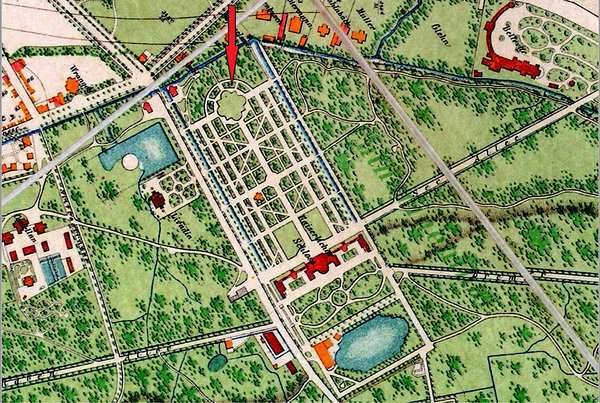 For more detailed information in Estonian on the archeological research of Kadriorg Park’s old fountain click here. Further information is avaliable only on Estonian.